Like most bloggers, we’re huge coffee enthusiasts – but taking a big swig of piping hot coffee and getting a burned tongue is a nasty experience no matter how much you love the caffeinated treat. 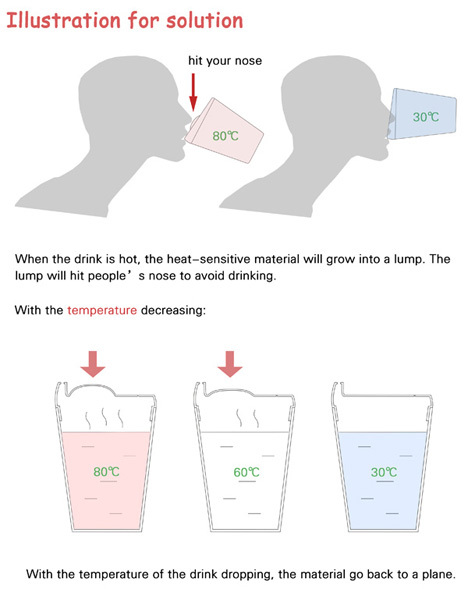 Brilliant designers Yang Dongyun, Wu Yichen, Sang Xinxin, Gu Zhiyu and Lin Xia have come up with a simple way to avoid those awful tongue burns. 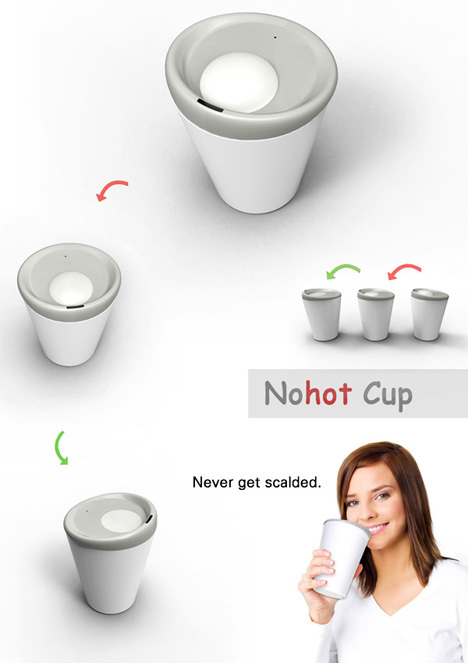 The NoHot Cup looks much like a regular lidded coffee cup, but it has one notable difference. The lid features a circle of temperature-sensitive material which expands when it’s hot. When the liquid inside is 80 degrees C (or 176 degrees F), the circle is raised and puffy. Try to drink from the cup when the lid is expanded and you’ll hit your nose, making it difficult to get any coffee into your mouth. But wait a while until the coffee cools down to around 60 degrees C (140 degrees F) and the circle will disappear, becoming flush against the rest of the lid again. You can drink your coffee comfortably and you don’t have to risk a burn by testing out the temperature. 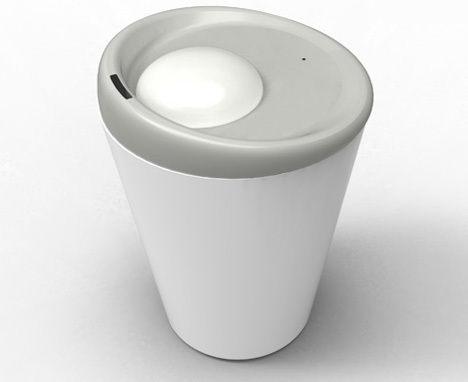 The redesigned lid isn’t yet a product that you can buy, but the concept was a 2012 Red Dot Award: Design Concept winner. See more in Industrial Design or under Technology. March, 2013.